Jeffery S. Perry is EY’s Global Capital Transformation Operational Leader, Transaction Advisory Services (TAS). Mr. Perry has also served on the firm’s U.S. Executive Board which oversees partner-related matters. Capital Transformation (CT) globally includes four high growth practices within TAS: Operational Transaction Services (OTS), Restructuring Valuation & Business Modeling and Lead Advisory. Mr. Perry is responsible for the continued growth and building capabilities of these CT practices along with driving further integration across CT practices, all for greater client impact. In addition to his global CT leadership role, Mr. Perry is also the TAS Account Leader for General Mills and Kraft. Prior to these roles, Mr. Perry served over nine years as the Americas OTS practice leader. The OTS practice helps corporate and private equity clients operationalize and execute their strategies associated with major capital events including integrations, care-outs/divestitures and operational restructurings. Mr. Perry has advised clients to “bring forward” transaction issues to mitigate deal risk and prepare for execution success. He has extensive experience in pre-signing, pre-close and post-close integration management, synergy value capture, benefits/risk tracking, organizational design, change management, operational carveouts and divestitures. He also has experience in executing growth strategies, salesforce effectiveness, operational cost reductions, strategic sourcing and large-scale program management. Throughout his career, Mr. Perry has worked with corporate and private equity clients in multiple industries including consumer goods, energy, financial services and communications. 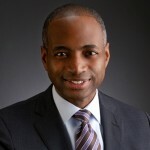 Prior to joining EY, Mr. Perry served with A.T. Kearney, a global management consulting firm, where he was a Vice President in the Strategy practice and Co-Leader of the firm’s merger integration offering in North America. Prior management consulting experience also includes CSC Index and Booz & Co. 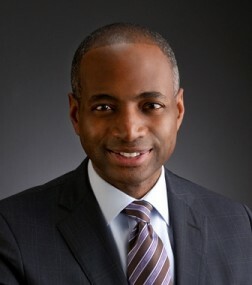 In addition to his professional roles, Mr. Perry is national board chair of INROADS, Inc., executive board member of Chicago Children’s Museum and executive board member of the Boys and Girls Club of Chicago. He is also a member of the Executive Leadership Council (ELC). Mr. Perry earned a B.S. degree from Babson College (Marketing/Quantitative Methods) with high distinction and and M.B.A. from the Harvard Business School. Notable examples of his though leadership have been featured in the Financial Times, BusinessWeek, CFO Magazine, Financier Worldwide and The Deal. He also partner with the Chicago Tribune on an award winning series on merger challenges and secrets of merger success. Mr. Perry has been honored by Chicago United as a 2011 Business Leader of Color and Savoy Magazine’s 2012 Top 100 Most Influential Blacks in Corporate America. Mr. Perry and his wife Dena are the parents of three children and reside in Lake Forest, IL.